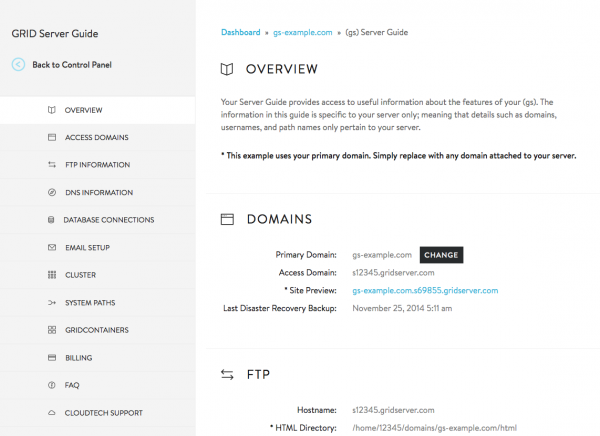 The Server Guide provides comprehensive information particular to your hosting service. It can be accessed from the AccountCenter. 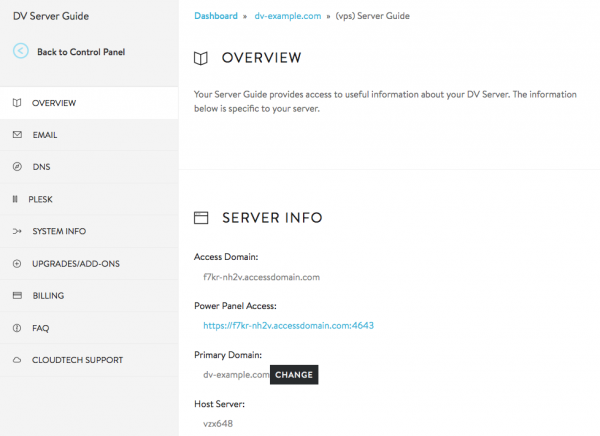 From the Overview page in your Account Center, select the Admin button next to your GridVPS hosting service. Click on View Your Guide in the Server Guide menu. 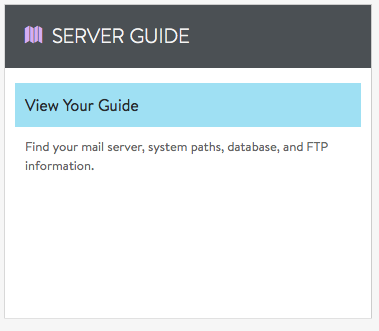 The first section of your Server Guide is an overview. Navigate to different sections using the menu on the left to access more detailed information.